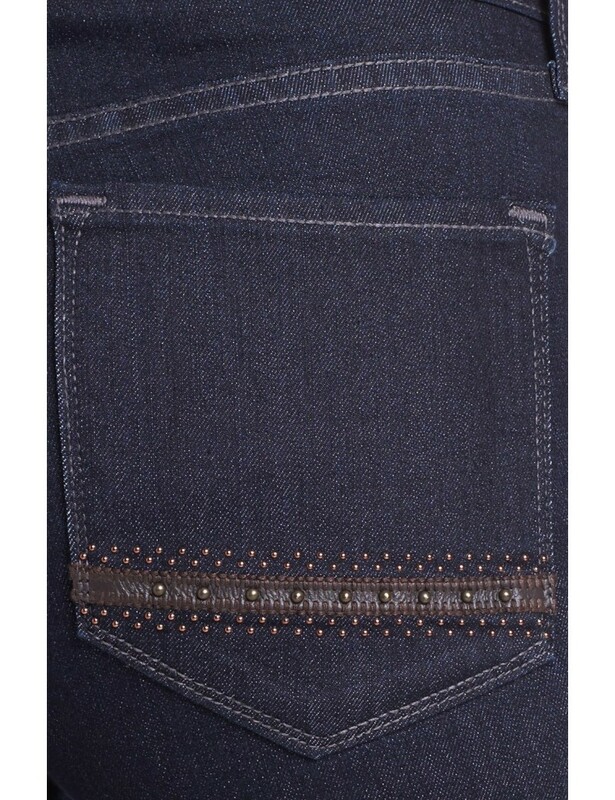 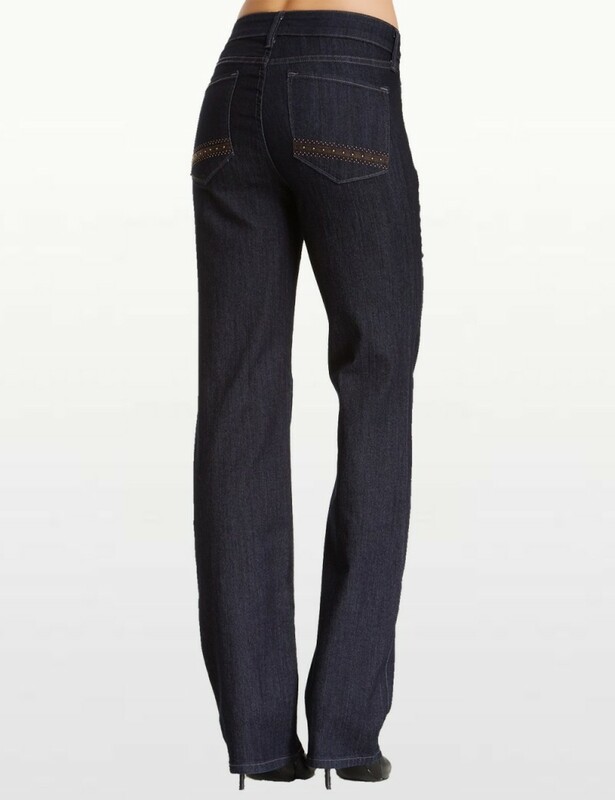 NYDJ Embellished Marilyn Straight Leg Jeans in Dark Wash. 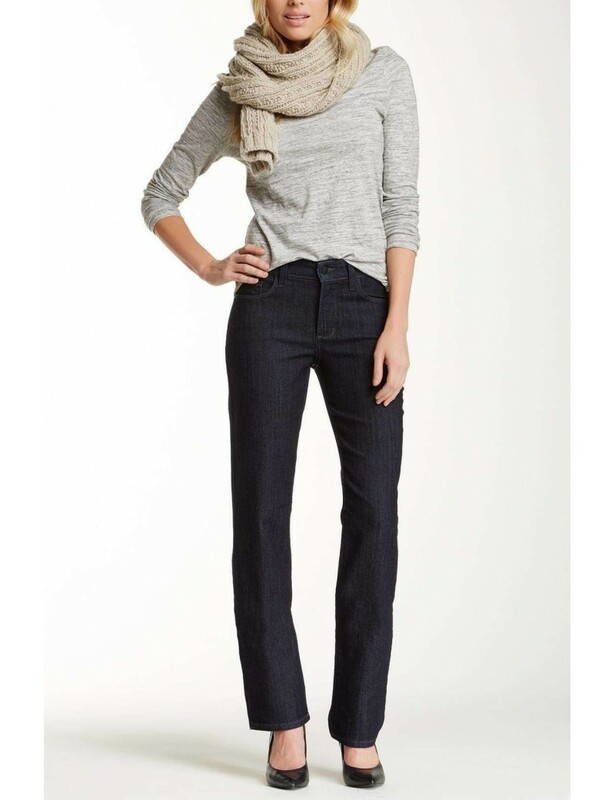 Comfortable and easy to wear, super soft denim that hugs your curves. Five-pocket styling, button closure and NYDJ's signature slimming fit.